This hypothetical new album would be the first to feature Slash, Duff McKagan, and Axl Rose together since the 1993 covers album “The Spaghetti Incident?”. And now, as Louder reports, Slash, who’s currently on tour with Myles Kennedy and the Conspirators in support of their latest album Living the Dream, has confirmed that Guns N’ Roses are already working on new material. 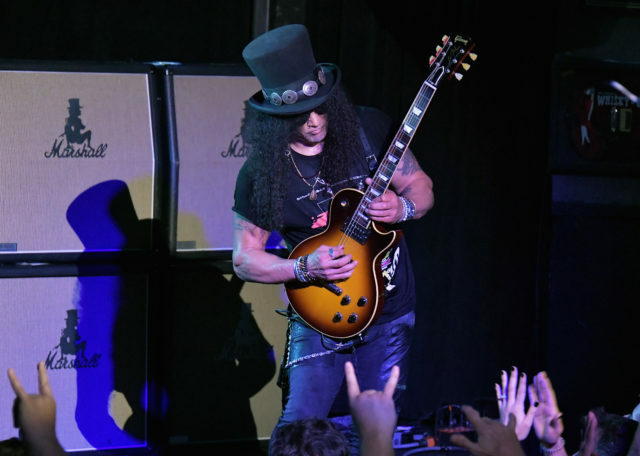 Last year, Slash spoke to Classic Rock magazine about the possibility of a new album. “I think everybody thinks it’s a good idea, and everybody would like to do it,” he said. “There’s no shortage of ideas from everybody involved, but we’ve been so busy on the road there hasn’t really been time to go in and sit down and go, ‘Okay, we’re going to make a record.’” Watch Slash’s Rock City interview below. This article originally appeared at Stereogum.